GCC spec 2014 Kia featuring airbags (front and side), cruise control, fog lights. White with other color interior. Automatic 2016 Kia Cerato with 17 inch wheels, rear camera, leather seats, black interior, grey/silver exterior. GCC spec. Red coupe, black on the inside with CD player and airbags (front and side). 18″ wheels. GCC spec, white 4 cylinder sedan with black interior. It has ABS and tuner/radio. Kia Cerato with many features, including xenon headlights, airbags (front and side), front wheel drive. Grey/Silver with black interior. 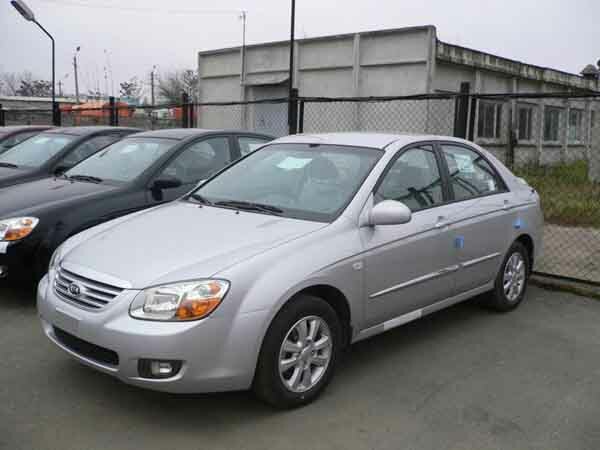 Khan - When it came time to buy used cars in Dubai for good prices, I heard a second hand Kia Cerato was a good choice so I went online and found one for a low price in the UAE. It’s great on fuel and appears to be easy to sell as everyone is looking for one. Pros: Resale value, maintenance costs and fuel consumption. 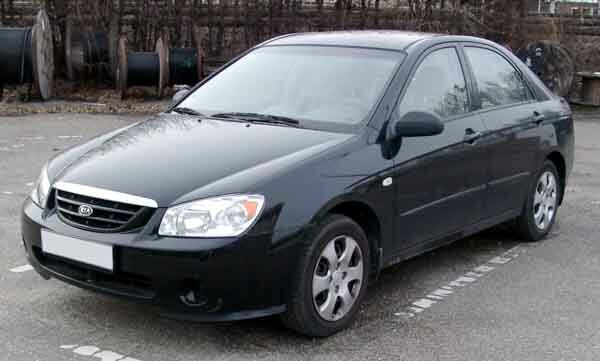 Abdullah - I bought a 1.6 litre pre owned Kia Cerato Coupe last year, and I have to say these cars are excellent for the price they cost, great options and it's excellent on fuel when it comes to long journeys. Pros: Options, styling and fuel economy. Farouq - My import Kia Cerato is just incredible. I’ve never had a problem with it nor have I heard of these cars having any major problems. I should have bought a newer one at a higher price as the options aren’t so good. Pros: Robust and resale value. Cons: Interior options in old models. It’s available in three body styles, either a sedan, hatchback or coupe. The hatchback version is discontinued now. Latest generation top trim models are filled to the brim with features with some even equipped with cooled seats. With various four cylinder motors on offer, worrying about fuel consumption will be the last thing on your mind. Thanks to their robust nature, trips to the mechanic are few and far between. Thanks to all the previously mentioned point, Cerato’s continually prove to have decent resale values in both the GCC and export markets. By adding another compact car to their lineup, the South Korean brand Kia, covers a wider spread of a lucrative market for the masses. Constantly fending off the competition, the Cerato is available as not only a sedan but a two-door coupe which none of its rivals does and offers options to blow the rest out of the water. In its first generation, the Kia Cerato certainly doesn’t turn any heads, but it gets the job done. With 15-inch rims on each corner as standard plus a radio complete with tape deck, fabric seats, air conditioning and a six-speaker setup. Optional extras include powered accessories, central locking, rear spoiler, body colour trim and covers for the rims. Five seatbelts are standard in regards to safety with ABS and airbags as optional extras. Select markets did offer the two as standard. Power is sent to the front wheels via either a 1.6 or 2-litre four cylinder petrol engine with various outputs mated to either a manual or automatic gearbox. Both the sedan and hatchback models are available in this generation. To round out the final years, the Cerato received a mild refresh at the front end along with a restyled boot and light housings. Looking to buy a pre owned Kia Cerato for sale in Dubai, UAE? Prices start at AED 5,999. 2007, 2008 and 2009 Kia Cerato in Dubai, UAE. 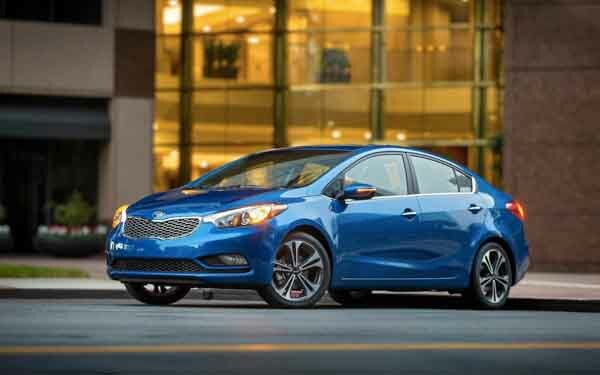 In its second generation, the South Korean brand gives the Cerato a new look to create a more a desirable package. Both interior and exterior options remain identical to the previous generation. Power is once again drawn from a selection of four-cylinder petrol motors mated to either a four-speed automatic or five-speed manual gearbox. 1.6 and 2.0 are the engines of choice rated at 122 and 143 horsepower respectively. Only the sedan versions are available in GCC trim. Other body styles are imports. Looking for to buy used Kia Cerato in Dubai, UAE? Prices start at AED 8,500. 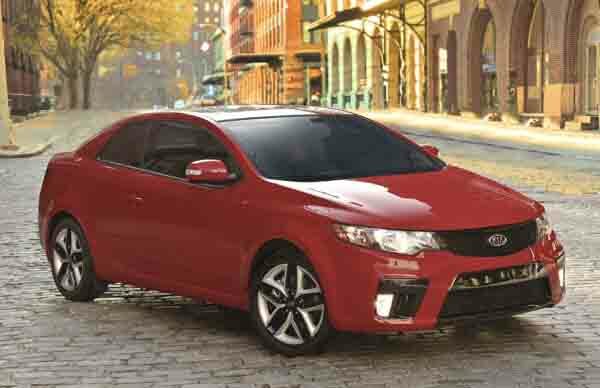 Serving more of a facelift than a leap into the next generation, the Kia Cerato sports an all new look once again with the aged look being thrown out of the window and a more refined interior and exterior on offer. Standard features include powered accessories, 15-inch rims, fabric upholstery and central locking. Optional extras include 17-inch alloys, keyless entry, digital air conditioning, sunroof, leather seats, enhanced stereo system, rear parking sensors and aluminium foot pedals. Safety features include as standard a single airbag with higher trims receiving ABS, stability control, side airbags and rear disk brakes. Power is drawn again from a 1.6 and 2-litre petrol motor powering the front wheels. Automatic gearboxes are standard with all GCC models with very few being paired with a manual gearbox. Both the coupe and sedan models are available in GCC spec. Regionally imports may have different badges at the rear end such as Forte instead of Cerato. Want to buy a second hand Kia Cerato for sale in Dubai, UAE? Prices start at AED 16,000. Officially in its third generation now, the Cerato measures in a 30 mm longer, 15 mm lower and 5 mm wider than the previous version. Not just that, an all new exterior is fitted comprised of new materials. With the larger dimensions, interior cabin space improves. Base options are similar to those found in previous generations however an array of optional extras are available including media inputs, keyless start, memory seats, reverse camera, multi-zone climate control, hill-start assist, cooled seats and parking sensors. Riding on a longer wheelbase as well, both engines and displacements return for a few more years. Once again mated to an automatic gearbox in the GCC, the manual gearbox is available by special request. Driving the front wheels, both powertrains are upgraded to improve fuel economy. Looking to buy a used Kia Cerato for sale in Dubai, UAE? Prices start at AED 27,000.